Help new and experienced supervisors deal with a variety of difficult situations. 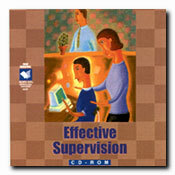 New and experienced supervisors will appreciate the dozens of helpful guides included in this collection. In addition to basic supervisory skills, topics include staffing, coaching and counseling, leadership and motivation, planning and project management, teamwork and conflict resolution. Do Your Employees Work for You or With You?